From your mobile device, go to the Apple App Store (if iPhone) or Google Play Store (if Android). Follow the prompts to download 1stPayMobile to your mobile device. NOTE: If using an Apple device, you will need your Apple ID and password to download the app. If you do not know your ID and password, visit Apple's Apple ID support site here. Launch 1stPayMobile by tapping the icon on the home screen of your mobile device. Refer to your 1stPayMobile activation email for your account information. Enter your Transaction Center ID and Username in the spaces provided. Tap the 'Next' button to continue. Create a 4-digit mobile PIN in the space provided. Enter your Transaction Center password in the space provided. Agree to Terms & Conditions. Tap the 'Next' button to continue. Make any necessary edits to your Receipt Settings. Tap the 'Next' button to continue. Make any necessary edits to your Tax & Tip Settings. Tap the 'Save Settings' button to complete your account setup. If your account has multiple MIDs, select the appropriate MID you'd like to log into. These are all of the required configurations. 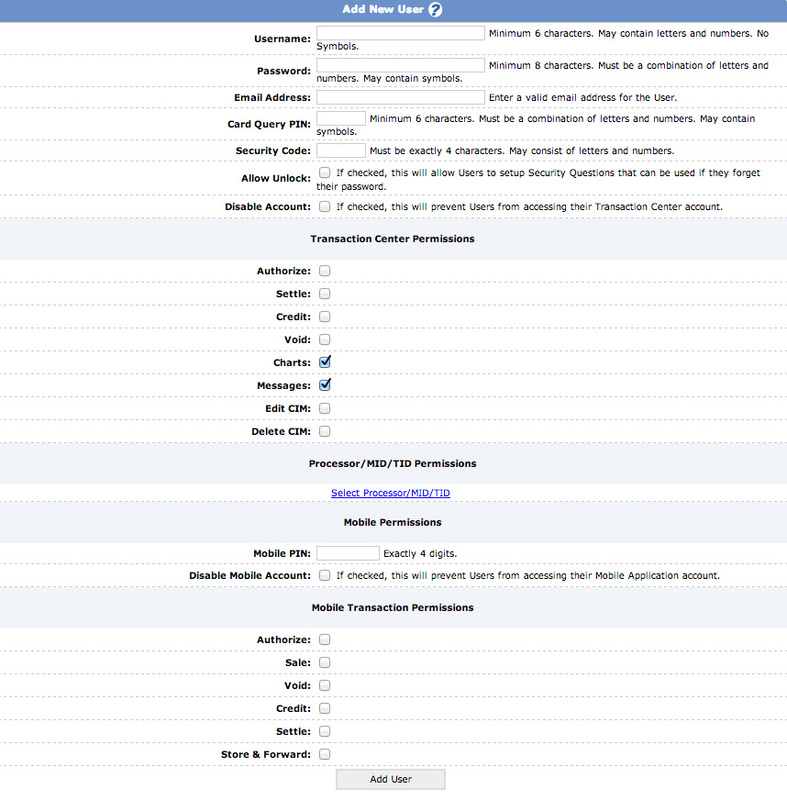 If you'd like to further configure the Mobile Settings in Transaction Center, see here. 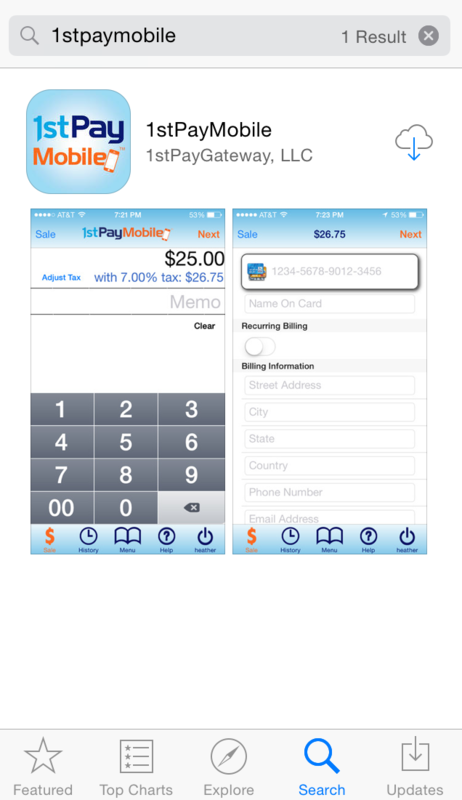 Launch 1stPayMobile by tapping the icon on the home screen of your mobile device. Tap 'Activate My Account'. 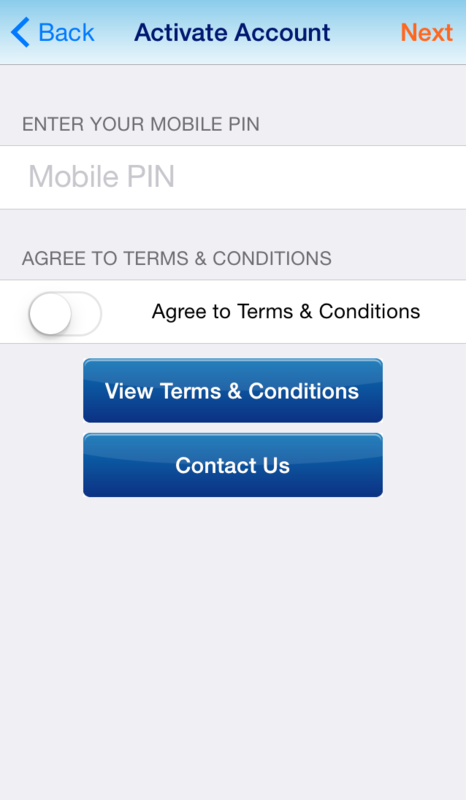 Obtain your account login information and Mobile PIN from your Administrator. Enter your Transaction Center ID and Username in the spaces provided. Tap the 'Next' button to continue. Enter your mobile PIN in the space provided. You have the ability to add multiple users to your 1stPayMobile account. First, log into your Transaction Center here. If your account has multiple MIDs, select the MID to which you'd like to add 1stPayMobile users. In the Transaction Center, go to User Management Add New User. Enter information for your User in the spaces provided and click 'Add User'. To activate an 1stPayMobile account, a User needs the following: Transaction Center ID, Username, and Mobile PIN. Contact our Support Reps if you need assistance installing the app or setting up your 1stPayMobile account. Our Support Reps can be reached at 1 (888) 417-8729 or support@1stpaygateway.net .